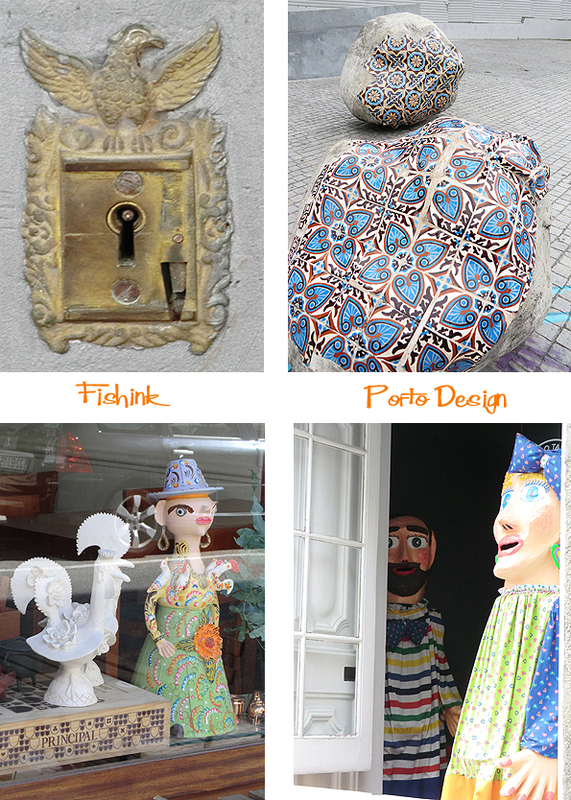 Welcome back to my posts about Design in Porto, if you missed post 1 you’ll find it here ! 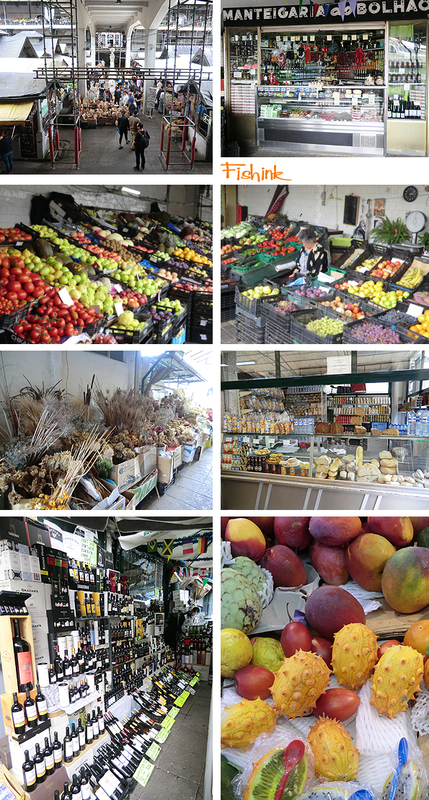 One place to head for if you are self catering and in need of some fruit and veg or simply enjoy markets, then head for the Mercado do Bolhao (Rua Formosa – more images here) A colourful and beautifully presented array of all kinds of produce, with cafes and souvenir shops on the ground floor. 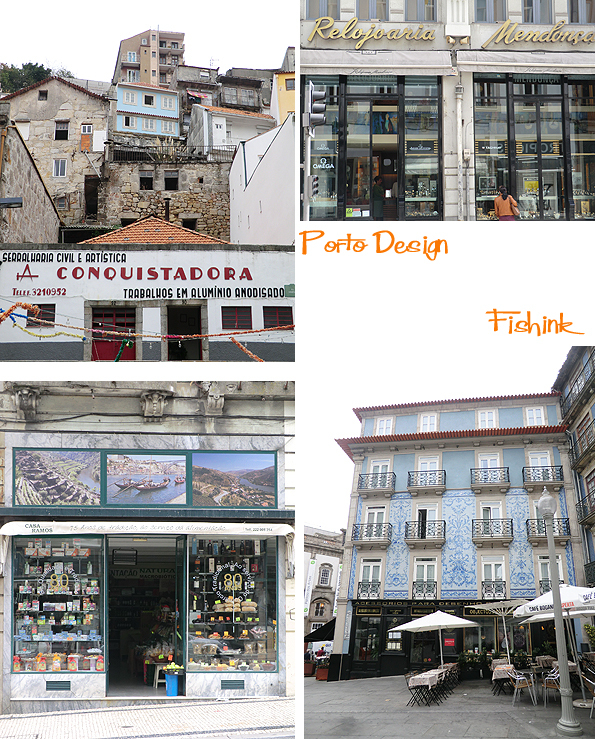 There’s such a great mixture of the old and new in Porto. 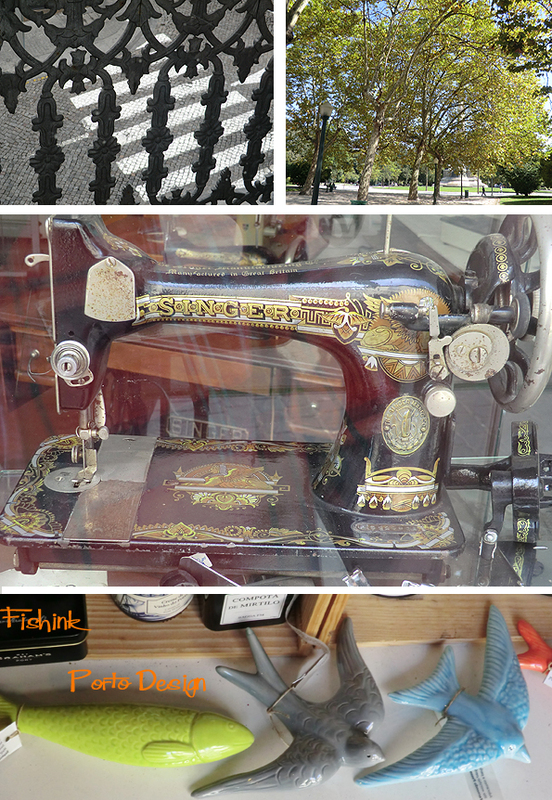 Speciality shops that have long since disappeared in the UK, like broom / brush shops or shops just selling parts for singer sewing machines ! It’s a great trip back in time. 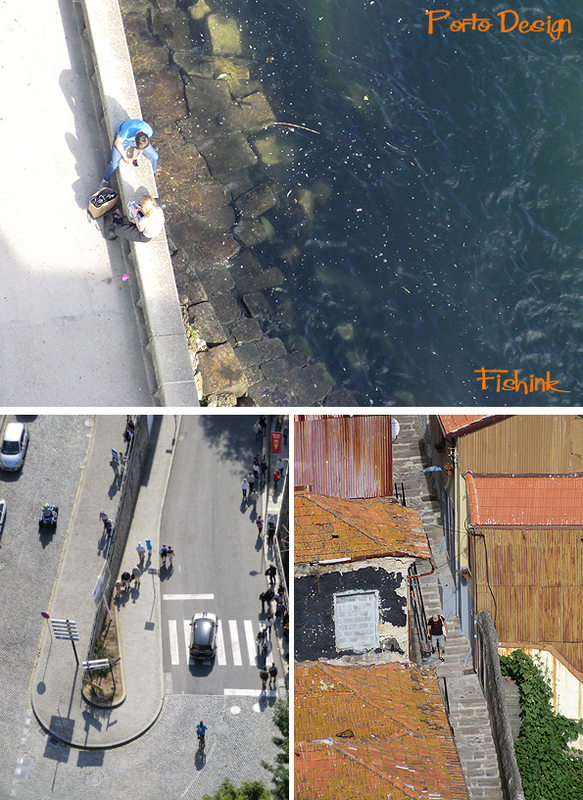 A few of my own elevated views on design shapes and styles. The old and the new go hand in hand. 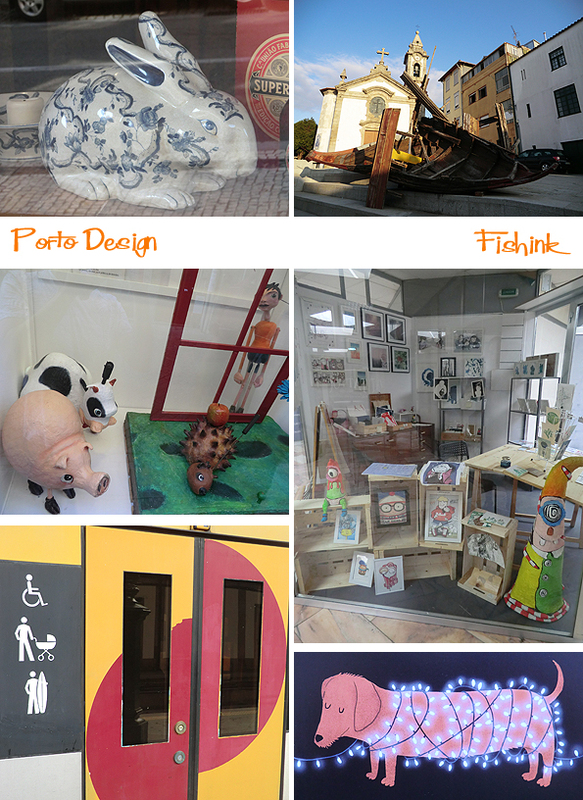 Marionette museums and quirky illustration boutique shops. I like the sign on the train welcoming prams and surfers alike ! You can still also discover an array of antique book shops that I wonder how on earth they know what is in each and every mountainous teetering pile surrounding their till or indeed how they sell enough volumes to just keep going. 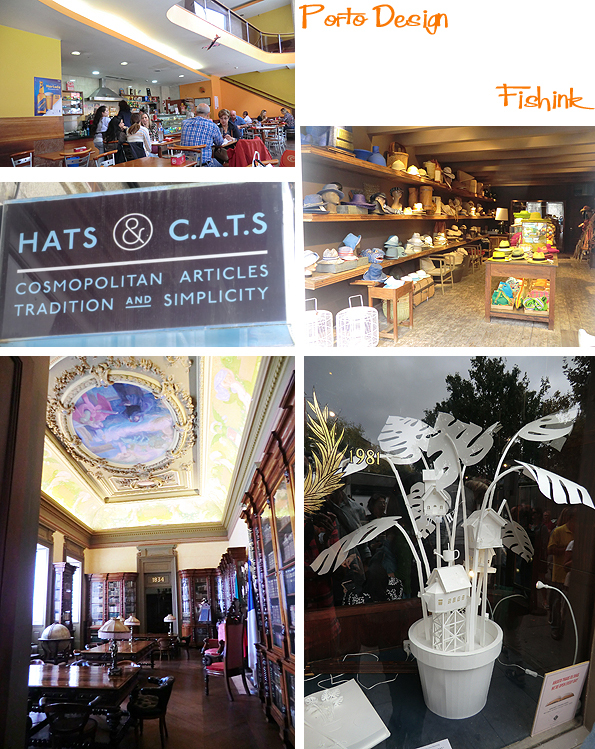 From hip cafes to hip hats. 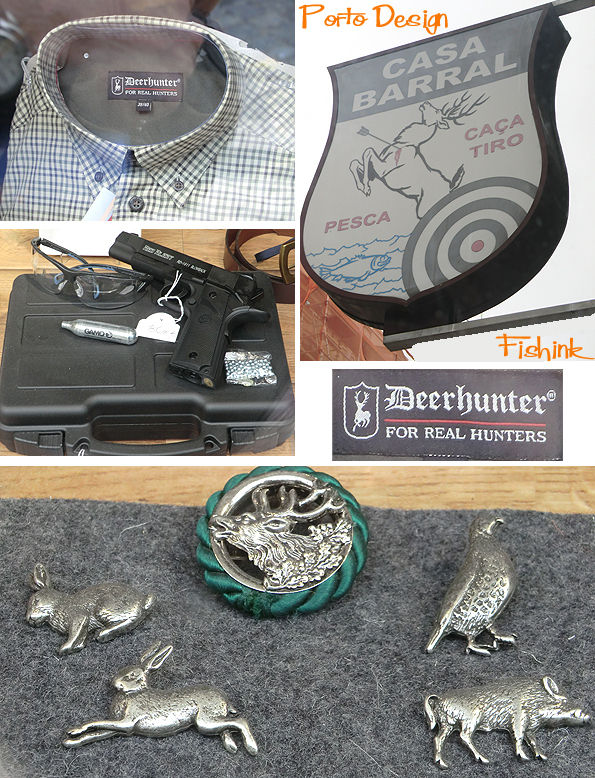 Shops that sell clothing brands ‘For Real Hunters’ and a gun to go with it! More graphics from a forgotten era but great to still see today. Mr cloaked Sandeman (a famous Port label) popping up here and there, looking more like zorro with a wine glass ! 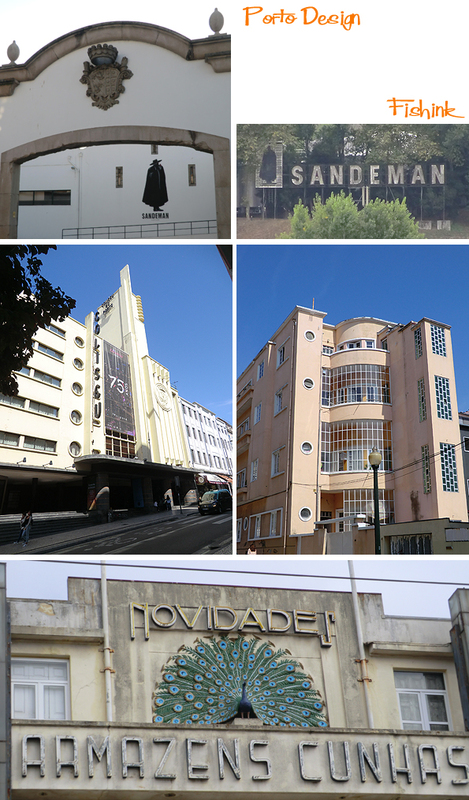 Wonderful art deco and still that intriguing mix of old and new. These lovely tiled stones near to the main station. 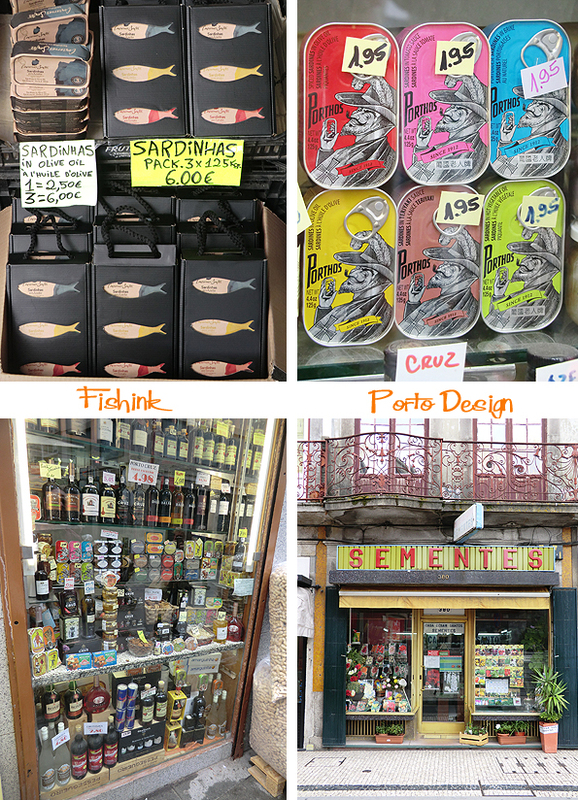 Modern packaging for traditional sardines. 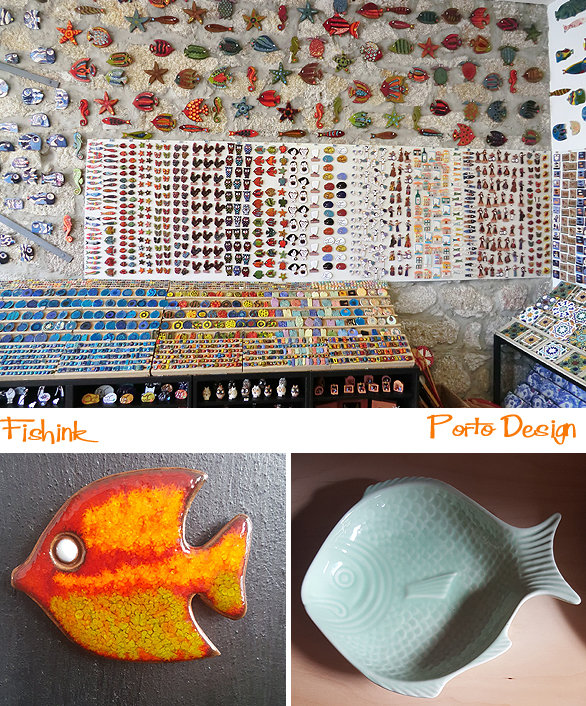 And finally a fish magnet shop… well it would be rude to go home without one ! 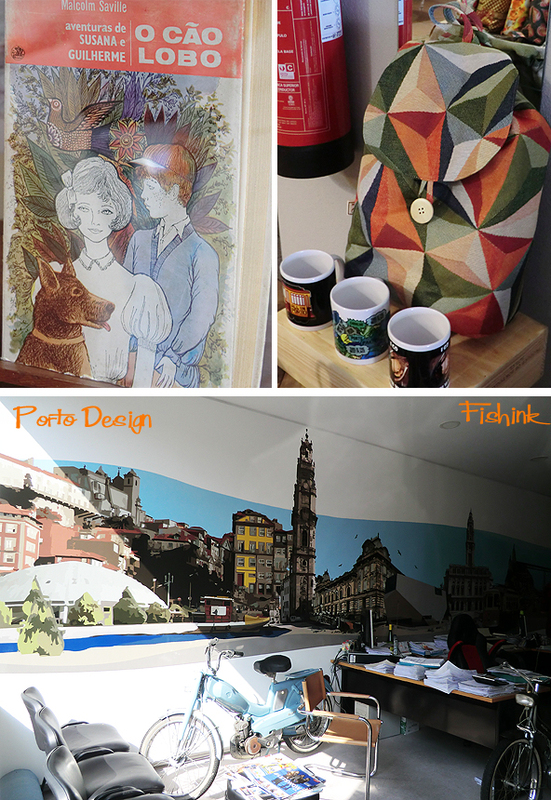 More about the art and crafts around Porto to come soon. Did you purchase a hip hat? No I don’t think my hip head ever suits hats, let alone hip ones ! 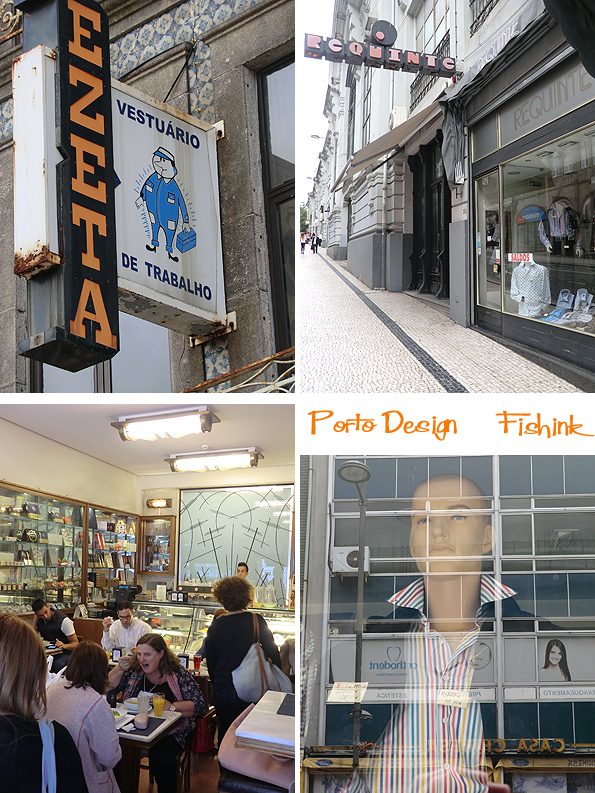 Thank you for all these posts on your trip to Porto. 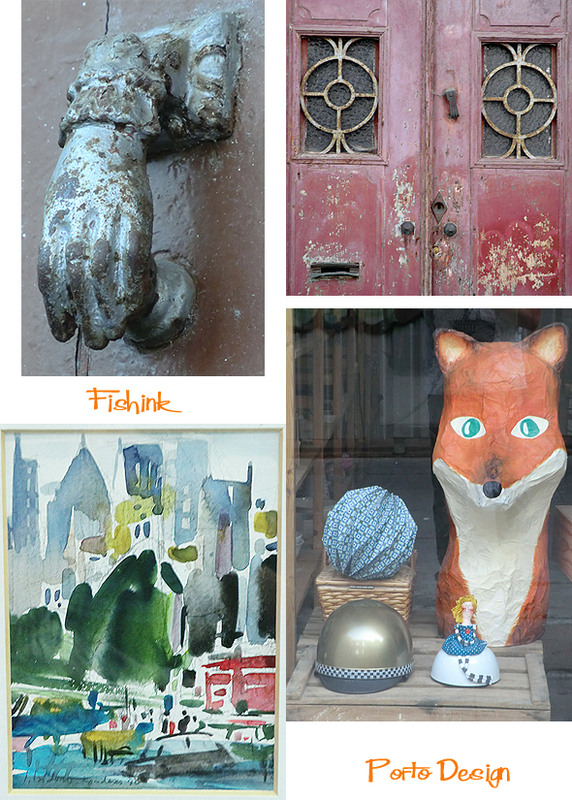 I was behind in blog posts and looked and read all of them just now. Nice virtual trip to another place for me.